P.S. BUT I received the S1 tube for the his mod. But there are some minor differences to make the tube fit to the Skilhunt perfectly. The result is a very light but powerful headlamp. I cut later the upper headband off and attached the band so that the whole silicone back sticks to my forehead. I use an Efest protected 18350 900mAh battery its a very tight fit the diameter and lengh are the max what would fit. With an Panasonic 18650B and magnet. I also got the AR glas from my Jetbeam Jet-1 MK in it or maybe a microtextured lens from pflexpro user. and cut the silicone holder for the 3. band should remove weight even more. so I had to move the orings in front of their normal position. 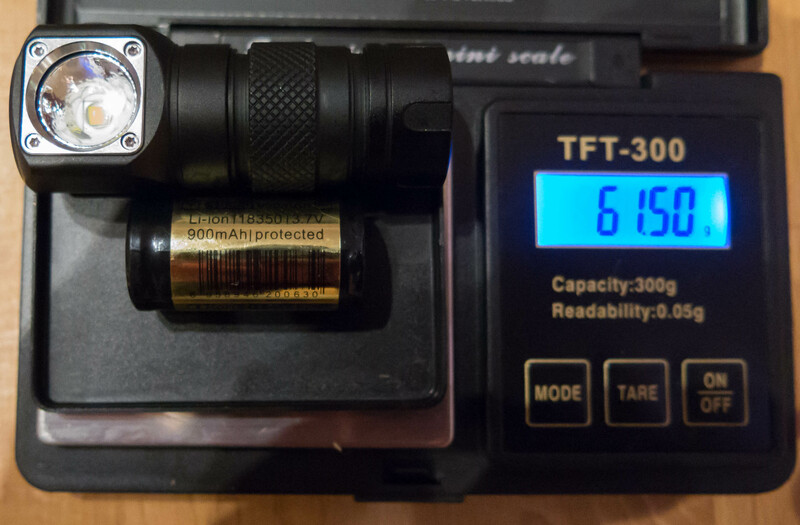 But unfortionally the BLF tube is 0,3mm thicker as the Skilhunt and their orings are larger. they were squezzed out a bit. 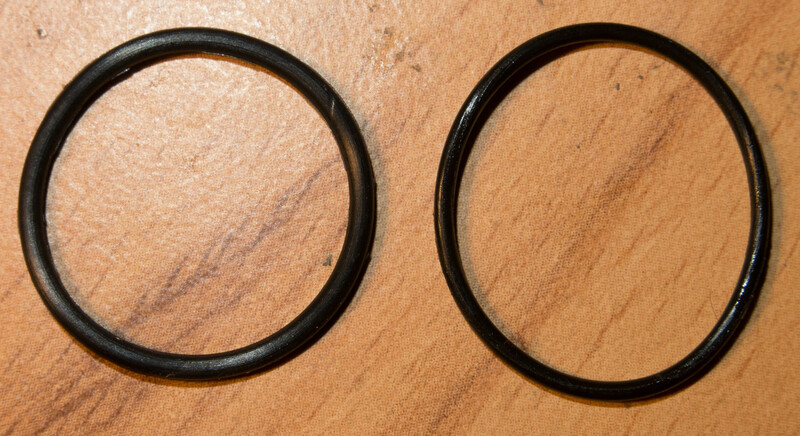 So I decided to get the tube where the orings have to be thinner in diameter. and then used very carefuly a metal saw to get it about 0.5-0.7mm less in diameter. Did you short tube work on the A6? One I ordered didn’t work for the A6. Maybe there still selling wrong tube. Don’t have my A6 anymore, maybe something changed. 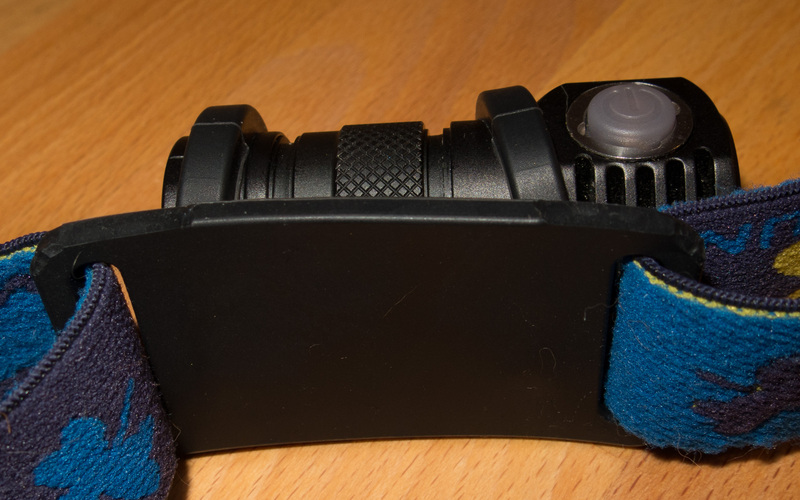 The Skilhunt H03 was never on my radar but after reading this thread I guess HAD to have an 18350 celled headlamp. Thank you for the 411. Definitely a cool mod. But we are talking 30g (1.06oz.) difference in weight, but 1/3 the run time of an 18650 cell. You made me order the H03 plus an A6 extension tube..
what can i say, youre genius! thank you for sharing. gotta find my a6 tube. lol. My $3 Armytek Tiara C1 headband came today. 87g’s Nitecore 18350 , No Magnet. Tiara headband. Fits really tight. I like it. Where did you get the headband from an how does it fit? Just ordered the tube and took the head off the light. I think I’m going to swap emitters to a 219c 90+ cri 4000k too. I’m leaving the magnet though, I love that feature. Light fits really snug, takes great effort to rotate it. Messed up my first tube, for some reason I thought yu were supposed to sand down the ridge not the groove lol. luckily I ordered and extra and jut finished filing that one. Really easy mod if you file the part shown in the pictures above lol. So is that band snug in a good way? Or so snug it would take 2 hands to adjust. I like to be able to adjust my headlamp one handed when wrenching on stuff. I put a high drain 16340 (700mah) in it for now and that seems to work fine too (no rattle either hmm) :). Planning to pickup some 18350s soon though to shorten some other lights as well. In stead of removing the magnet I added a second earth magnet which made it way more useful for attaching to things while working. Heck just used it today to attach to a thin strip of metal (never would have been able to hold itself up on this metal before) while working under the dash in my SxS. Now it just needs a 219c or 319a and it will be quite the light to have! I did this just yesterday. You just need to file down the edges of a 16mm noctigon to fit it through the hole. I put in a 219C 4000K 90 cri emitter and really like it. It now has a little bit more throw and this is what I needed for biking. A small spacer between the original optic and the new (smaller) led was needed, fortunately I had that in my spare parts box. Now the optic presses down on the mcpcb really good. The 219C works good with the original optic, it still has a nice floody beam with just a little bit more intense center. Yeah, i’m gonna Nichia my Skilhunts too. 3000K or 3500K or 4000K? Just for fun i put the H03F optics (including the diffuser lid thingy) on the shorty and put the TIR optics and SS bezel on the H03F (which is a regular H03 now). It rattles and looks vulnerable.. But it looks great though and it’s a good diffuser. 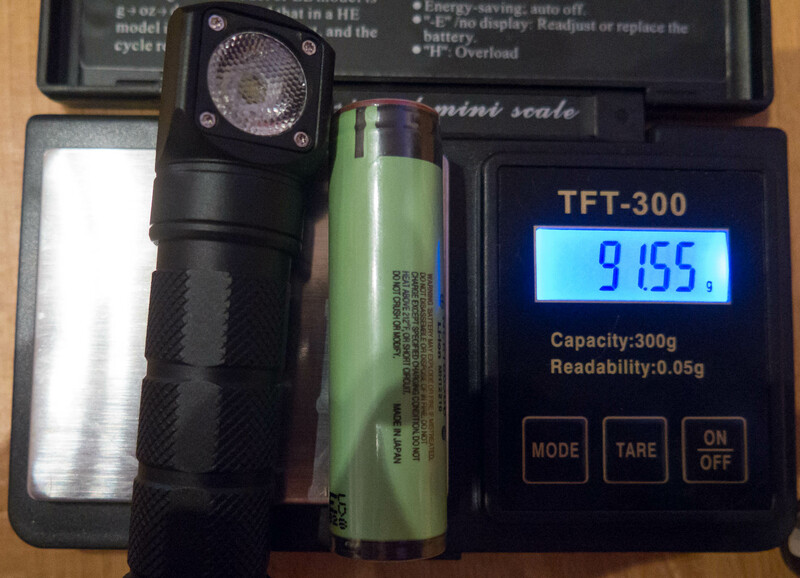 Now thinking about how to shorten the original 18650 battery tube. Because the S1 18350 tube is not a perfect fit. The threaded sections are slightly smaller in diameter, i have to be careful tightening the tail cap. Plus i want the clip on the shorty too, which is impossible with the 18350 tube. Wait, is there a difference between A6 and S1 tube? Alright, should have checked this before.. So it turns out the Astrolux S1 short tube fits better than the BLF A6 short tube. 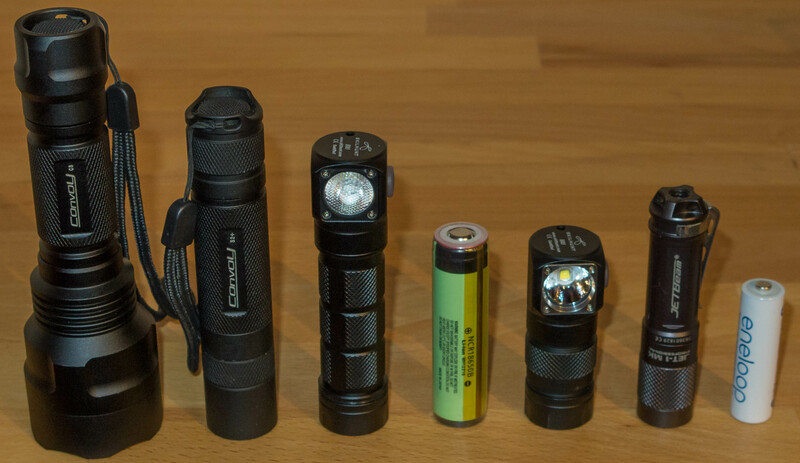 I ordered the A6 short tube for this Skilhunt mod, but i have a Astrolux S1 shorty too (but i use a S1 18650 tube). You apparently need the S1 tube for this mod. I don’t know why I have been on a nichia kick lately, cree still has perfectly decent stuff, thing is I ordered a bunch of 19c and 319a’s . I don’t mind warmer tints although I really been liking 4000k I would certainly not mind a warmer tint for a headlamp where I’m often using it to work up close (warmer tints are much easier on my eyes, I guess i’m weird). I actually like warmer tints better, on high levels I always thought warmer tints held cri better but I thought it must have just been in my head so thanks for clarifying! So you would recommend getting an XML2 instead then? If Mtn has them I might be placing an order with them soon. I did this just yesterday. You just need to file down the edges of a 16mm noctigon to fit it through the hole. I put in a 219C 4000K 90 cri emitter and really like it. It now has a little bit more throw and this is what I needed for biking. A small spacer between the original optic and the new (smaller) led was needed, fortunately I had that in my spare parts box. Now the optic presses down on the mcpcb really good. The 219C works good with the original optic, it still has a nice floody beam with just a little bit more intense center. Thats great news, if my nichias ever arrive from china I’ll probably try one in there too! What did you use for a spacer though? Probably not something I have around and I will need to order. Awww man now you tell me. Now I just wasted $2 lol. Not having any 18350s yet, can you explain to me how the S1 tube fits better? My A6 tube I ordered seems to fit really well after grooving it for an oring (used a $1 file from china freight) I don’t understand the be careful cause it has short threads comment, is that because I don’t have an 18350 to throw in there? Also no one commented on how sung that headlamp band is? Can you still adjust the headlamp one one hand or does it require 2? Is there a better option? Awww man now you tell me. I just found out myself..
Now I just wasted $2 lol. Not having any 18350s yet, can you explain to me how the S1 tube fits better? 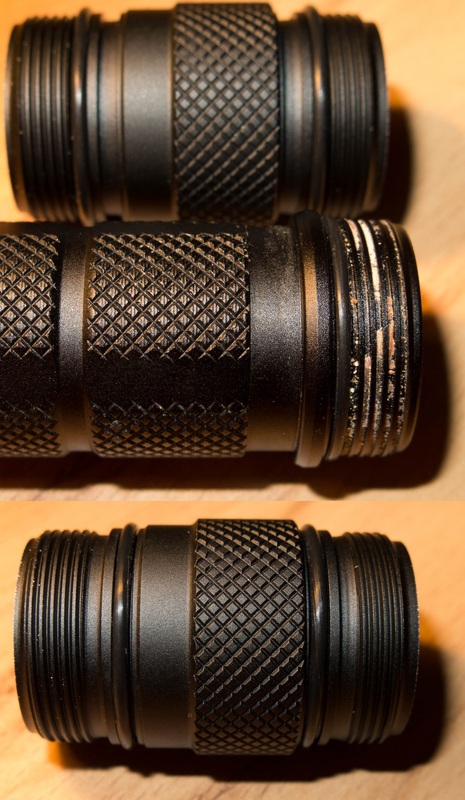 The threaded ends of the S1 tube have the same diameter as the original Skilhunt 18650 tube. The A6 tube is 1mm smaller diameter. The A6 tube is also 2mm shorter than the S1 tube. Protected 18350 would be a problem with the A6 tube. My A6 tube I ordered seems to fit really well after grooving it for an oring (used a $1 file from china freight) I don’t understand the be careful cause it has short threads comment, is that because I don’t have an 18350 to throw in there? I don’t now, maybe Banggood sent you the S1 tube. I ordered the A6 tube and they fit protected cells, maybe they really sent me an S1 tube? Can you give me the bore, outer diameter and lengh of your S1 tube? Okay, let’s get the callipers. Inner diameters are both 19 mm, outer diameters are both 24mm. 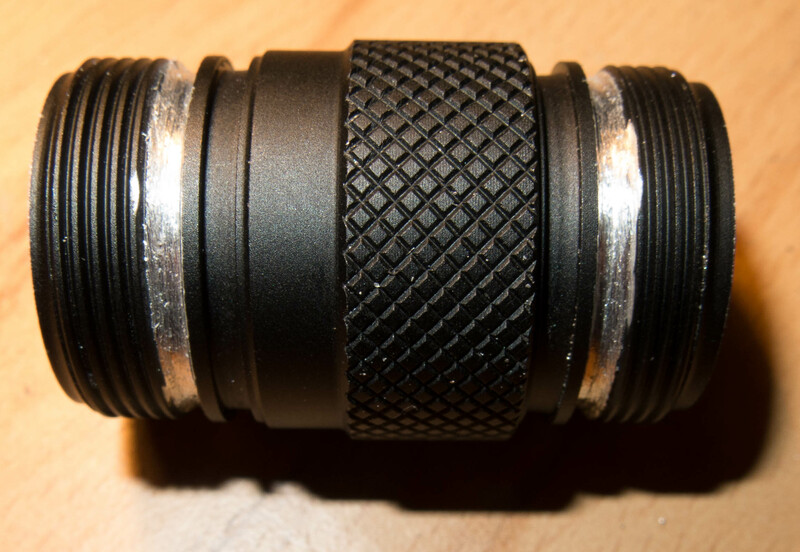 Diameter of threaded sections S1 is 22mm (same as Skilhunt), A6 is 21mm. S1 tube is 37mm long, A6 tube is 35mm long. Let’s hope they send you the wrong ones too.. So the threads on your A6 tube were lose due to being 1mm narrower? The A6 I ordered the threads feel tight, and it looks exactly like your S1 in the pic. I dunno if the S1 and A6 look the same anyways? For now both the A6 I ordered from bangood (if that is even what I have) is fitting perfect and threads are tight and smooth so I’m not sure what could be improved anyways, unless when I get my 18350s they don’t fit! My 16340’s fit in it too after I did the spring / magnet mod, they are the same capacity as most 18350s anyways, and are high drain so they can push the LED just fine in turbo. Probably save some weight over the 18350. The 16340 (RCR123) battery is loose in the tube, but apparently under enough tension that it won’t rattle or misbehave anyways. Jut to be clear, this is the tube I ordered, it looks like the one in your picture. Also the headband is $3, but shipping is $9? Hmmmmm anything cheaper that will fit? That’s 1/2 the cost of the headlamp! 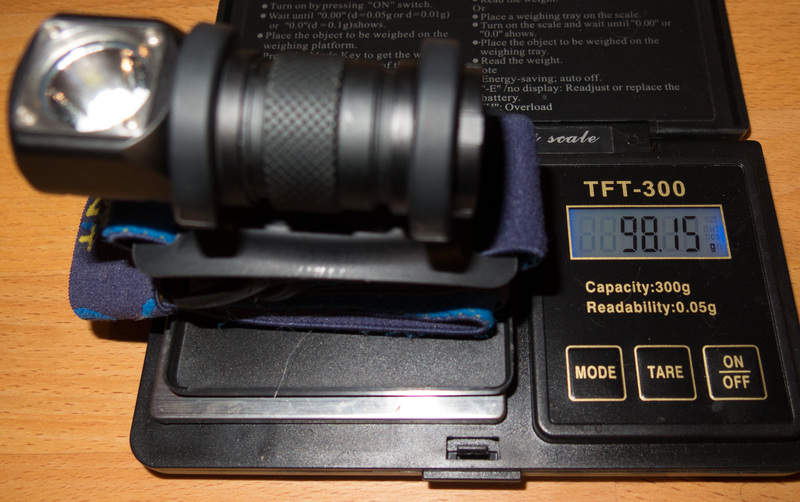 It is 37mm long and still a tight fit for protected batteries. Man, how did you get the head loose? Either mine has more glue or I have little girl strength. Don’t want to mar or deform the tube using tools, but I can’t get the damn thing off by hand..